HUD filed charges against Facebook this morning for violating the Fair Housing Act by encouraging, enabling and causing housing discrimination through the company’s advertising platform, Axios' Sara Fischer reports. A U.K. agency found "serious and systematic defects" in Huawei's overall cybersecurity practices, although not on grounds of espionage, which U.S. authorities have feared, Axios' Joe Uchill writes. 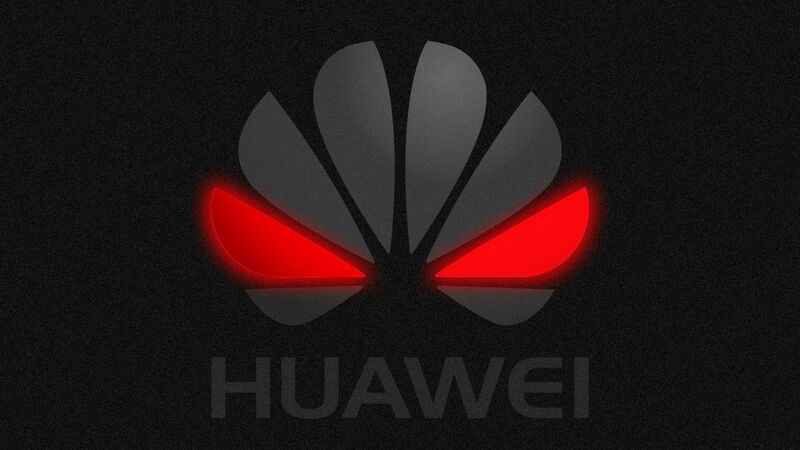 Chinese telecom giant Huawei is poised to claim close to half of the 5G market, nudging the technological center of gravity away from western telecom vendors and sounding alarms about China's ability to spy on Americans, Axios' Kim Hart, Alison Snyder, and Sara write. "Commercial power almost directly translates to standard setting power ... and if you dominate the standards, you dominate the products. Your early developments will be faster and work better than others," says Henning Schulzrinne, computer science professor at Columbia University. "This is a fundamental strategic competition for who builds the platform for the next round of the internet. That is just as important — if not more — than who builds the state-of-the-art harbors, railways and highways over the next 20 years," says Janice Stein, political science professor at the University of Toronto. Where things stand: The U.S. and China are locked in a race over whose preferred technology will underly 5G networks that will connect devices and machines at lightning speed. The U.S. prefers European equipment makers Nokia and Ericsson, and it has shunned Chinese telecom giant Huawei due to fears of espionage. The U.K. and Germany, however, haven't outright rejected Huawei. Huawei claims nearly a third of the global 4G market, and it may get closer to half the market in a 5G world, according to Andrew Entwistle, an analyst with New Street Research in London. "It’s going to be far more pervasive in terms of what data aggregators know about you and how they can influence your lives," says Rob Spalding, senior fellow at the Hudson Institute. "Today it’s Amazon, Google, Facebook. Tomorrow it’s Baidu, Alibaba, Tencent, and the Chinese communist party." Why it matters: It's the latest example of a celebrity investing in esports, Sara writes. NBA superstar Chris Bosh joined esports franchise Gen.G as a player management adviser last year. Other big names, from Michael Jordan to Steph Curry, are investing in professional esports teams. Details: Players' Lounge allows gamers to compete in skill-based esports competitions for cash prizes. Its mission is to create a social platform for casual gamers to connect, get matched, and compete without having to be a pro. Like Instagram, Players' Lounge is hoping to give average people a platform to compete and win money on esports games. Players can compete on PS4, Xbox One or PC devices. The bottom line: Esports is still a fledgling industry compared to professional sports, but big names are investing in it because it's growing so fast. Celebrities, and especially celebrity athletes, see this as a way to connect with hyper-engaged sports fans, who may not have the appetite to participate in real sports but still want to compete with peers and develop a community around game play. Human Rights Campaign suspended Google from this year's Corporate Equality Index after the company failed to pull a controversial app that the LGBT rights group says equates to conversion therapy, Axios' Ina Fried reports. Why it matters: HRC's annual rankings are often touted by tech companies and have served as a valuable recruiting tool. What's happening: In a footnote to this year's company ratings, HRC said it became aware of the app, from Living Hope Ministries, which it says "supports the practice of so-called 'conversion therapy.' "
"Such practices have been rejected by every mainstream medical and mental health organization for decades. Minors are especially vulnerable, and conversion therapy can lead to depression, anxiety, drug use, homelessness, and suicide. Pending remedial steps by the company to address this app that can cause harm to the LGBTQ community the CEI rating is suspended." Context: Apple, Microsoft and Amazon all pulled the Living Hope Ministries app from their app stores, while Google refused to do so. Axios first reported last week that HRC was considering whether Google's actions should affect its ranking in the index. Meanwhile, many other tech companies received a perfect 100 score in the annual ranking, released Thursday. Sen. Josh Hawley (R-Mo.) called Thursday for Pichai to further publicly address the company’s reported work in China, Axios' David McCabe reports. Earlier this month, Gen. Joseph Dunford, chairman of the Joint Chiefs of Staff, said at a hearing that Google's work in the country was "indirectly benefiting the Chinese military." Modern gaming engines like Unreal 4 are capable of generating video in realtime that is almost impossible to distinguish from spectacular film footage. This example is breathtaking.